Pope Francis address to Congress: On climate change, the pope was uncharacteristically timid. Pope Francis addressing the U.S. Congress on Thursday. After a stern and historic speech on Wednesday at the White House, in which Pope Francis riffed on Martin Luther King, Jr. when saying the world had “defaulted on a promissory note” when it came to protecting the environment, the Pope devoted few words to global warming in his speech to Congress on Thursday. And the words he did say were underwhelming. In fact, Francis never mentioned the words “climate change” at all. Republicans in the audience, predictably, didn’t seem convinced. 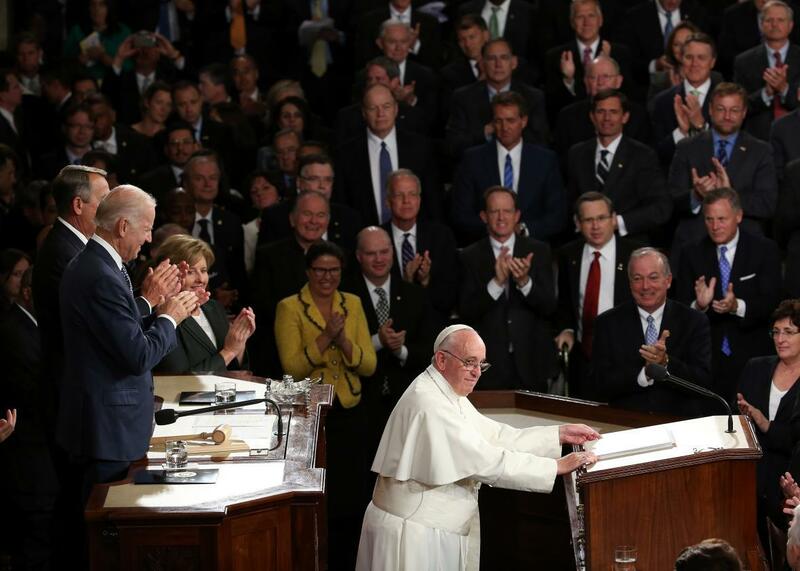 As Democrats stood and applauded the pope’s optimistic tone, many Republicans sat silently. Still, it was not a very memorable moment. Remember, this is the same pope who said in his landmark encyclical earlier this year that “the Earth, our home, is beginning to look more and more like an immense pile of filth” and that, while trashing the planet, “we continue to tolerate that some consider themselves more human than others, as if they had been born with greater rights.” That is the pope I was expecting to hear on Thursday, but he didn’t show up. What’s clear, and what the pope has said previously, is that climate change has already irrevocably altered life for every single person on this planet. For many people in rich countries, this change has been imperceptible—another somber news story that’s easily brushed aside. But the biggest problem with climate change is that it affects everything—and everyone—especially the poor. To fix that, the whole system must change. The pope’s timid words to Congress, at least, aren’t going to inspire that change. It will be interesting to watch if his address to global heads of state on Friday at the United Nations General Assembly in New York carries the same tone. Let’s hope not.